Music isn't the only soother of souls; Valdis the Bard thought to try his hand at a little Tai chi. 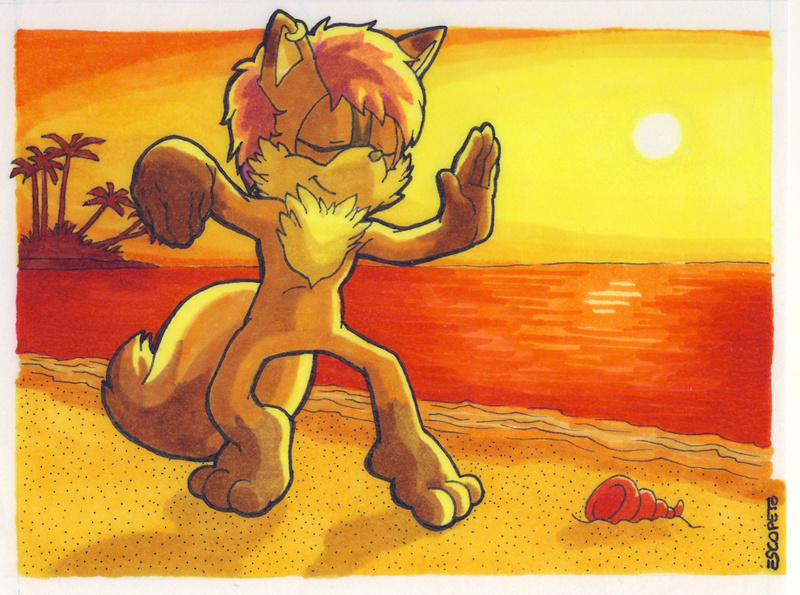 He's kind of cheating though, because just BEING on that amazing beach would probably soothe anyone into mush! From the thumbnail I thought this was Elias Acorn at first- red hair, fox-like Tail despite being a squirrel. Oops my mistake. :-) Cute fox though.